Fix all the problems with Full Page Cache module and it works perfectly with FPC module. The fact that scripts must be downloaded, parsed, and executed before the browser can begin to render a web page causes much of delay in time to load the main page at the startup. That ugly truth can make your customers leave your site at their first visit as many studies have shown that users will not tolerate more than a 4 second load time. Click here to check out BSSCommerce's best extensions for your Magento store. We will help you to boost both your website's performance and sales. Well, this extension is awesome! My website works fast now, and google pagespeed is 97. It is working out of the box, no issues found yet. Our store was fast and stable even during black friday and christmas sales when traffic was is very high. It was so slow and made customers to leave site immediately. I choose your extension because it is simple but effective quickly. and so amazing it improve my site so much. Deferring js and css is important so that your pages' content is toward the top of your page. Reason: Search Engine crawlers like Googlebot and Bingbot can get to a page's readable content without having to parse through lines and lines of scripts and style sheets. Does exactly what it claims. HTML compression broke site, though easily reversed. Suggestion: would be nice if large blocks of white (previous location of scripts) in source code was somehow removed. Other than that, I would highly recommend. Thanks! it works great!! very good job BSS!! Very good extension and great support! This module helped me a lot for my Google Page Speed score. Defering Js is essential and this module handeled it just fine. I had some problems after installing, as the compatability with the Lesti FPC was not 100%. However, the senior and founder of the bizz helped me and came up with a solution very swiftly. I highly recommend anyone to use this module. Thnx Trung! I faced few problem after install but their support helped me to resolve those issues. Great support!" "Great product by a great company! Does exactly what you want!" Good extension, even better support! Thanks to BSSCommerce we can get our GTMetrix / Google Pagespeed rating to a higher level. Support is superb, although they need to do some tweaking in extension files. "This worked great to take our site from 0/100 to 100/100 in Yslow and Gmetrix. BSS helped resolve the installation with great enthusiasm"
Does exactly what its supposed to! Thank you very much for a great extension and awesome support!" 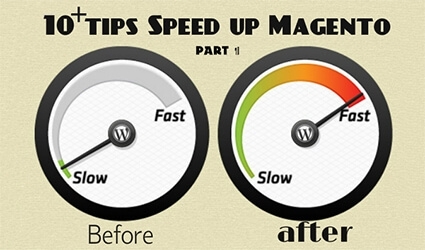 "As most of us I needed a way to speed up my magento website. Being on a shared hosting the scenario was pretty scared, but after a mail with the developer I follow his suggestion and installed both the defer js and the bss FPC. I went from 11 sec. to 4 sec. ( using gtmetrix) on my Magento 1.9.0.1 website. I had few minor issues related to custom template but the developer help me in no time. Strongly suggested both for the support and for the funtionality." 0 problems and worked right away." Overall, a very pleasant experience." An amazing module, my total sales increases sharply! Thank you very much for this helpful support and unbelievable innovation! Good luck! I have been absent for some time, but now I remember why I used to love this website. Thanks, I'll try and check back more often. It's so great to see my site is working on smoothy. Highly recommend!" "I've tried many combinations to improve Magento performance, this module beats all. Clean code, many features and good support!" I'm amazed at how it works and returns it brings back. Very useful extension!